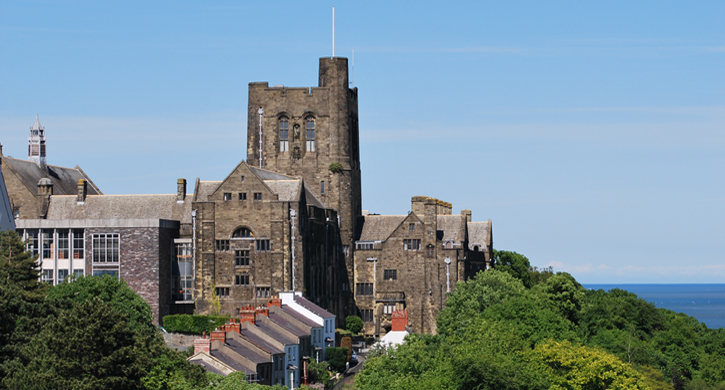 Situated in the dramatic landscape of North Wales, Bangor University provides inspiring views on its doorstep. From the Snowdonia Mountain range to the serene British coast, the location is definitely one of the reasons students choose to take a course in Bangor. It was rated amongst the top 10 universities in the UK for student satisfaction and, according to the most recent Research Assessment Exercise, research in the School of English is ranked in the top third of Universities in the UK. The English and creative writing course is taught by writers who are award winning and recognised internationally. Some of the teaching staff include Zoe Skoulding who teaches poetry and has had many publications. Her recent collections of poems include The Museum of Disappearing Sounds (Seren, 2013) and Remains of a Future City (Seren, 2008) which was long-listed for Wales Book of the Year 2009. She also used to be the Editor of Poetry Wales. Carol Rumens who also teaches poetry is a very prolific and highly acclaimed writer. She has written poetry, plays, a novel and non-fictional work. She’s won many awards including the National Poetry Competition in 2001 and also blogs for the Guardian. Kachi A. Ozumba, another creative writing lecturer, has been invited to give readings and to feature at discussions at BBC World Service, Times Cheltenham Literature Festival, Edinburgh Literature Festival, among many others. He was also the Co-founder of the UK International Students Short Story Prize run by the Newcastle Centre for the Literary Arts (NCLA). In addition to the seminars delivered by an impressive staff, an integral part of both the BA and MA courses is students sharing their work and giving constructive criticism to each other. Each week students post work on blackboard in which their peers can read and they discuss what works and what doesn’t. It encourages a sense of community between students and allows for a sharing of creativity and inspiration. There are also opportunities to go on trips which feed into each student’s particular area of interest. For instance, if a student writes historic fiction then they can link up with the history department to join on their trips. One of the most exciting parts of the course is the high calibre of visiting writers and poets that perform for the students. This actually forms a large part of the assessment as students have to review their performance and their work. People who have visited in the past have included Kathryn Gray, Tiffany Atkinson and Patrick McGuinness. The university offers students the opportunity to explore their own creative interests and is one of the few places in the country which gives expert teaching in all areas of literature from the seventh century to the present day. You can choose courses with a more international aspect, e.g. postcolonial and world literature, or courses with a topic-based approach, e.g. detective fiction, film, or Arthurian literature. Both the location and the teaching expertise makes Bangor University a very inviting place to take your study. We’d love to hear from those who have been there, either on the blog or on Twitter!